Upon the opportunity to look -- and most importantly listen -- back down that Golden Road, it’s certain the great steam bath we laughingly referred to as Summer Tour 1990 produced more than its fair share of memorable experiences both on the road and in the stadiums. This was arguably one of the Dead’s most uniformly strong Summer Tours -- which could be equally as taxing for the band as it was for us tour rats. Musically, 7/8/90 represents what remains special about that tour, beginning with the flawless and spot-on Touch, which is seamlessly welded to a perfunctory Greatest Story. Thus bringing to the ears -- as well as to the mind -- our dearly departed brother Brrent Mydland as he tickles those 88s. His were the paws that refresh -- especially when matching Garcia rush for rush. It makes you feel like the boys were listening as closely as we were. Tom Thumb’s Blues is one of the rarer treats of the tour as it was only performed a handful of times in ’90. Some of Phil’s lyrical adaptations (I'm going back to San Anselmo… and my best friend, my drummer…) seem only to add to the enigma of Dylan’s original verse. After half-time, Weir returns to the ‘good book’ for a P-U-M-P-E-D Samson that woulda made The Rev. wanna get up and testify. Then following our nightly rhythmic rubdown, aka Drums > Space, an anomaly occurs. From the jam leading out of Miracle, Weir asserts Willie Dixon’s Wang Dang Doodle -- which is generally a first set staple. Another aural signpost is the power and commitment in Garcia’s voice during this telling Black Peter. The surrogate lyrics “… that a man could be as strong as me” illicit a roar from the crowd and a chill from the spine. The KY Jam from 7/6/90 is the ultimate instrumental denouement. Once again, that big ol’ electric muse appears, leaving shreds of Smokestack Lightnin’, The Other One, Bird Song, and Truckin’ in her wake. 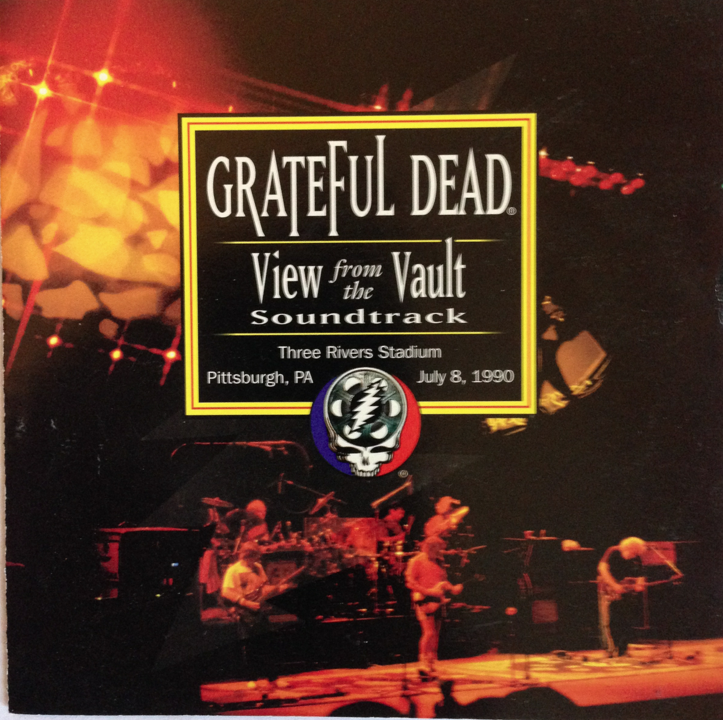 The is the soundtrack to View From the Vault I.